Many businesses rely on loyalty programs to keep their customers coming back for more. You could implement such a system for your WordPress blog to show your appreciation for your loyal readers. By giving your visitors incentives to perform certain tasks (e.g. share your blog with their friends, comments, daily visits), you are going to have an easier time growing and solidifying your community. PunchTab is a cool plugin you can take advantage of to start your own loyalty program. PunchTab enables you to excite your community and encourage your readers to help your blog go viral. In order to get started with this plugin, you are going to need a key from Punchtab.com. Your visitors can earn points in many ways. Tweeting, liking, commenting, and joining your fans on Facebook are all actions that could earn your visitors points. Punchtab makes redeeming prizes easy for your visitors. You can even add a referral system for your loyalty program. Badges can be enabled or disabled easily as well. 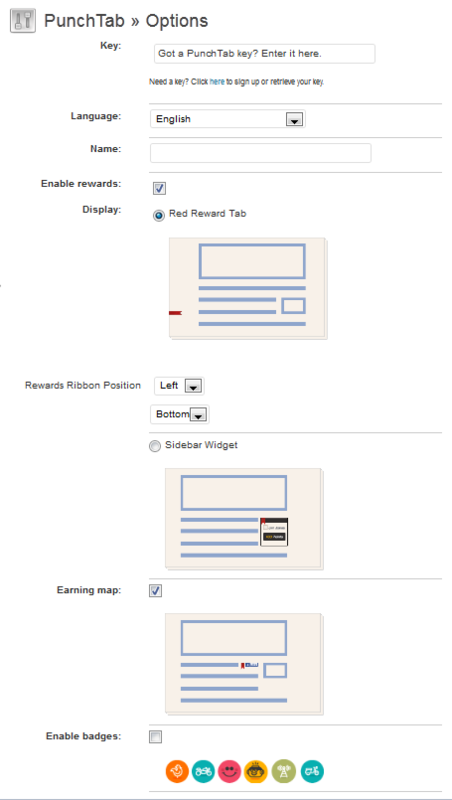 The position of badges bar and rewards ribbon can be changed from the Options page. 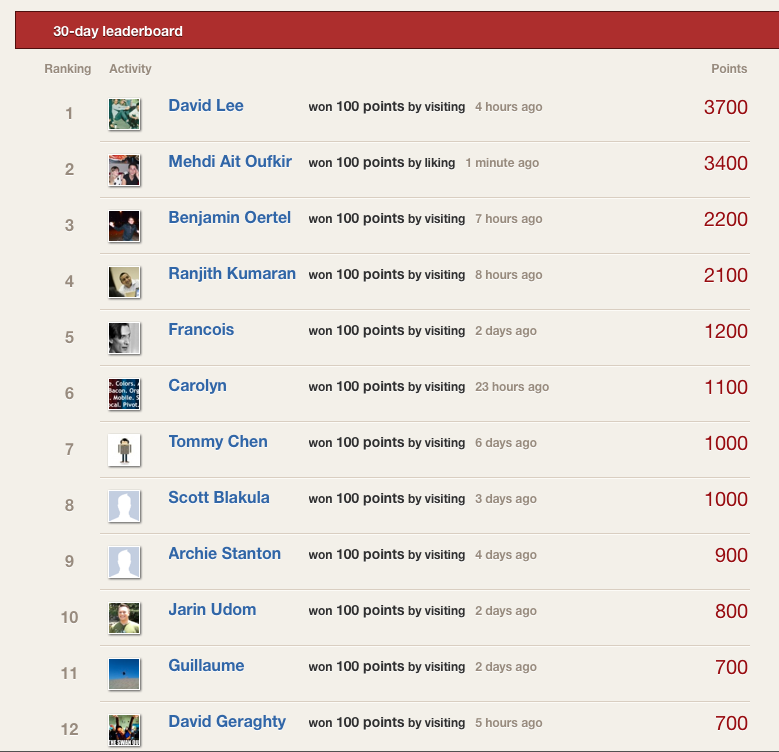 Webmasters can always see who’s doing the best among their visitors by checking out their loyalty leaderboard. Gamification could work for your website. It is certainly worth testing if you are looking for new ways to solidify your community and boost it with the help of your visitors. Thanks to Punchtab, you get to reward your visitors for certain actions. Everybody wins that way. There's another online mazecard.com.au loyalty app thingie. Not sure if they integrate with websites.